THE BRILLUSTRATOR: Justice is a B*tch! 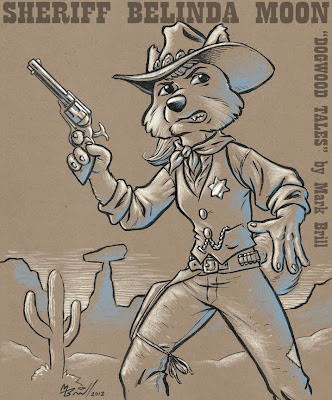 Here's a character design of Sheriff Belinda Moon, the lead character of my upcoming comic: "Dogwood Tales", copyright 2012 Mark Brill, etc, etc. 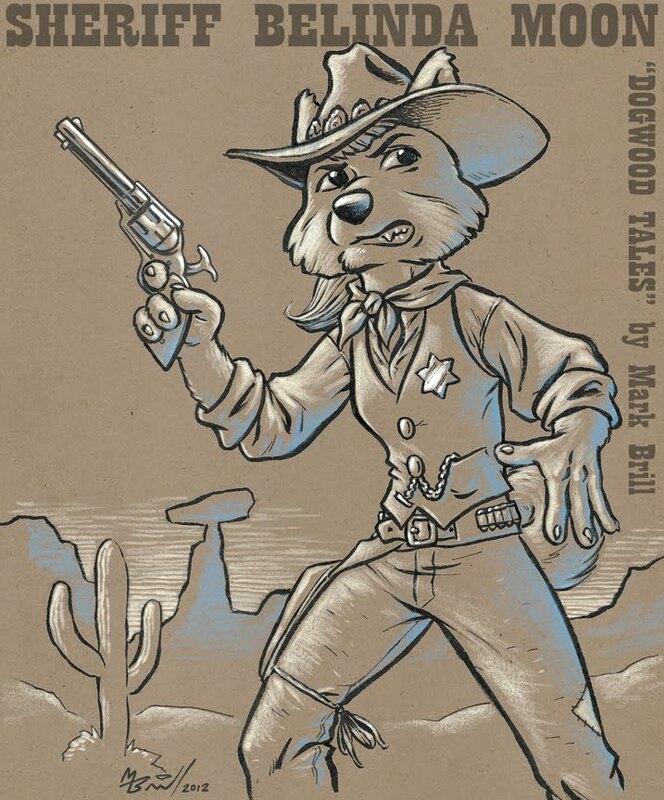 I wanted to see how the characters from the Dogwood series would look using this style of drawing. I'm thinking about doing the covers using this style. So here is Sheriff Moon, looking ready to take on the world with nothing but courage, wit...and occasionally, a Colt Peacemaker. ¿will the characters wear chaps?